Winston Churchill, Charlie Chaplin, Bill Nye the Science Guy, Donald Duck… This eclectic group of gentlemen all have one thing in common. They’re bow tie wearers. Our office pup, Scout, is quite the dapper d00d himself with his strong eyebrows and peppery beard, so we asked if he wanted to join the league of bow-tie-wearing chaps. 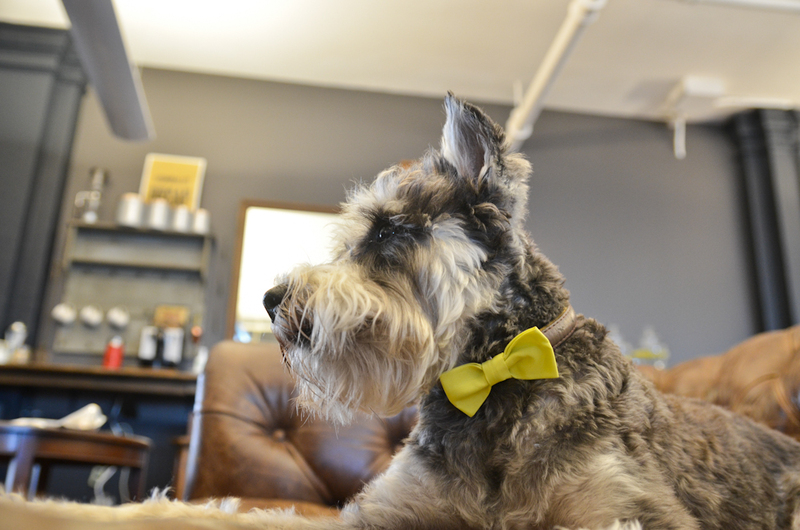 Scout didn’t growl a no, so we took his lack of a response as a yes and the rest is history. 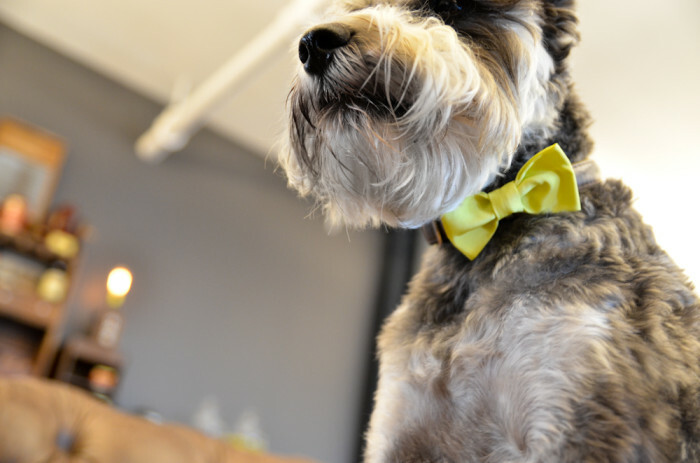 If you’ve got a dapper, statement-making pup of your own, below is a tutorial to help your dog become the most gentlemanly dog in the ‘hood. 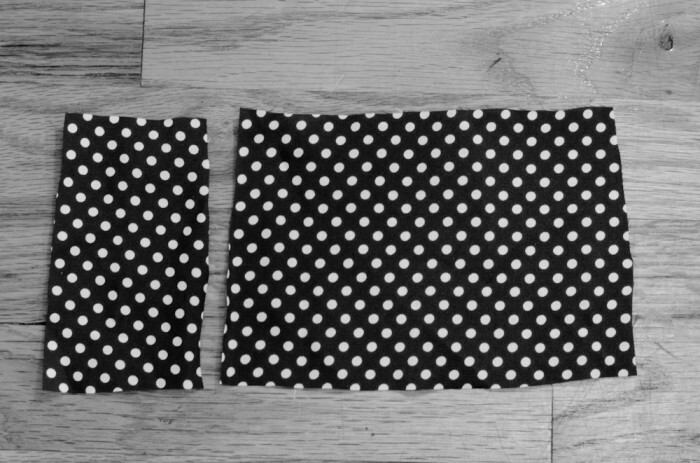 Start by cutting two rectangles of fabric, one large, and one really thin. 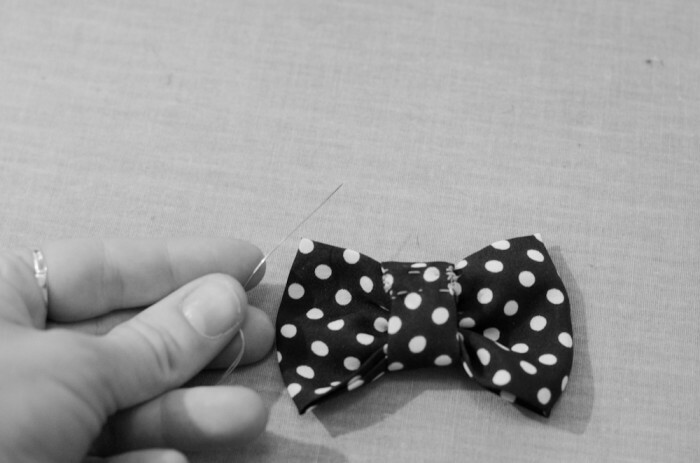 You can always make the fabric smaller if you want to test it out and make sure your bow tie fits your dog. Next, take the thin piece of fabric and fold in both sides. 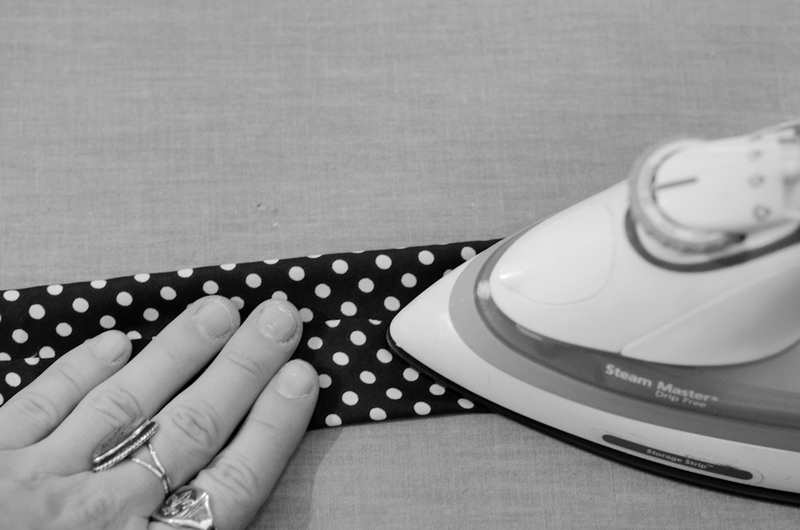 Iron into place and set aside. 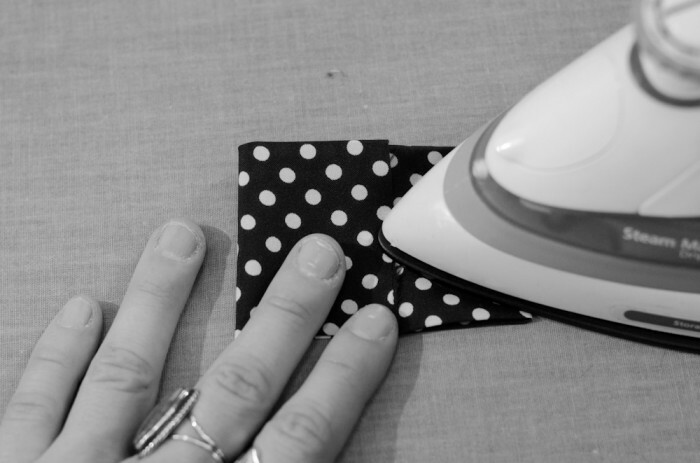 Take the other rectangle of fabric and fold in the sides + iron again. Then fold the remaining sides of your large rectangle in towards the center and iron. 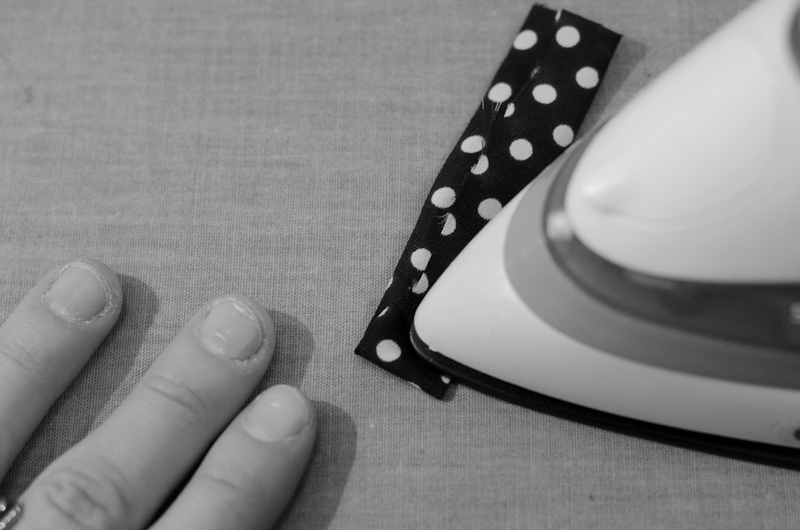 After you’ve got everything ironed, take your needle and thread and put a running stitch through the center of the larger rectangle to keep everything in place. 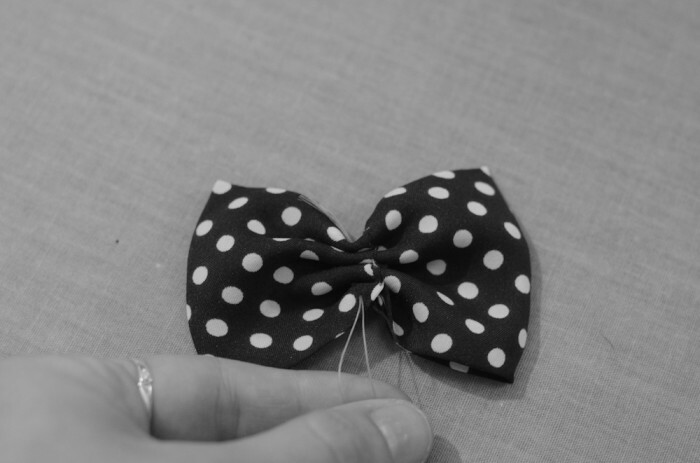 Then pull the thread to bring the bow together in the center. 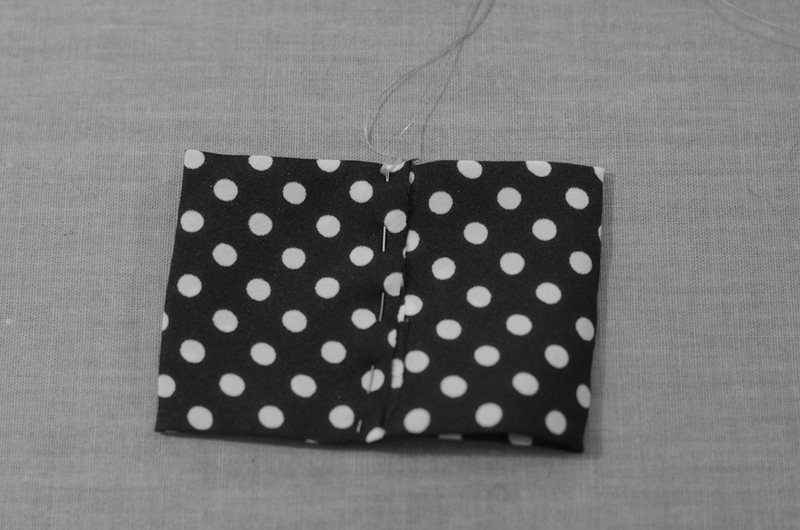 After that, stitch the smaller strip of fabric in place around the bow and stitch everything in place. 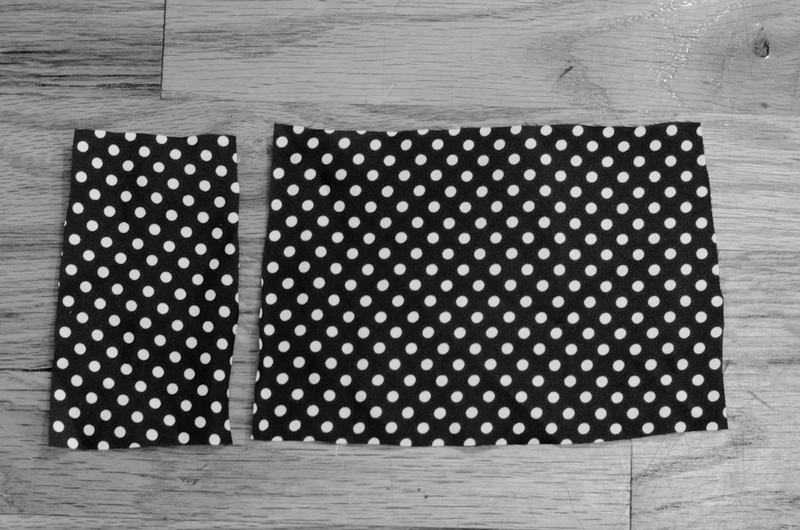 Make sure the middle piece of fabric can slip on around your fabric and you’re good to go!